Our marriages will flourish as God intended, and you will be a living illustration of Christ's love for the Church (God's design for marriage is lifelong fulfilling companionship). 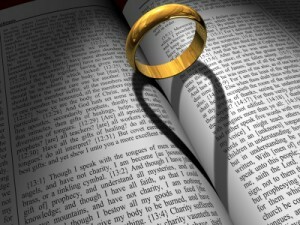 Give honor to marriage, and remain faithful to one another in marriage. As scriptures say A man leaves his father and mother and is joined to his wife, and the two are united into one (Ephesians 5:31 NLT).